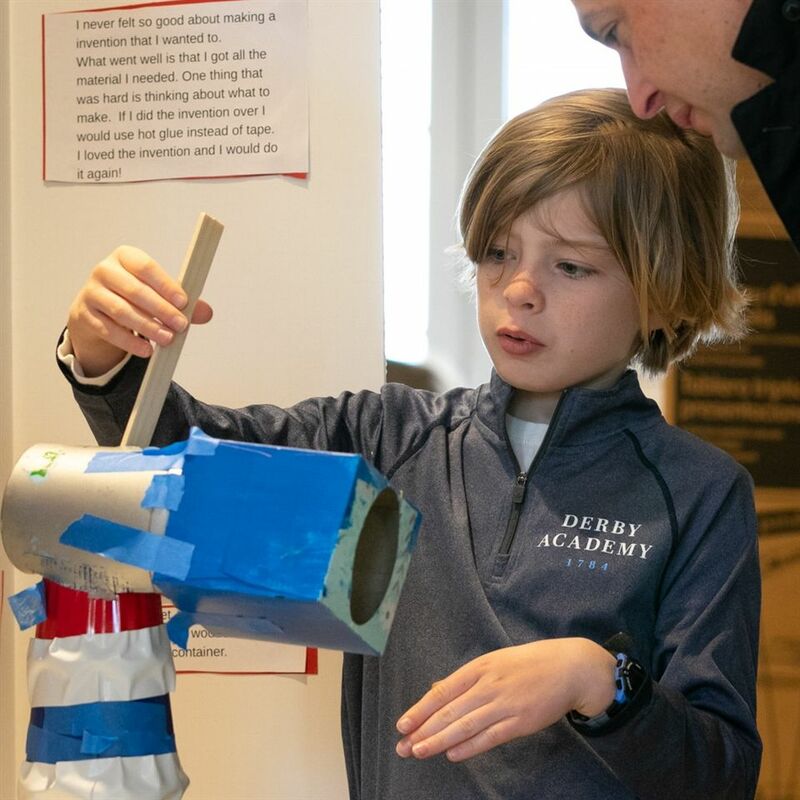 The Healey Center was buzzing with activity as Grade 3 students showcased their innovative products to parents and classmates during their Invention Convention, Friday, April 5. Students were tasked to create products that would provide solutions to everyday problems like wiping off muddy feet, covering school books, organizing distracting items off desks, and replacing pencil erasers. With creative and crafty models, students presented their original designs and final products with video presentations, prototypes, and summaries of their work as they reflected on their experiences throughout the design process of brainstorming, researching, designing, testing, and refining their ideas.